During the fall months, it can be particularly difficult to maintain the quality air needed at your home or office. Here are a few simple tips to help you you’re your indoor air fresh and clean throughout the season. Keep your windows open for 30 minutes to an hour every day – It is inevitable to find yourself closing all the windows and turning up the heat all through fall and winter. However, opening the windows for the few minutes a day will do you more good than harm since it will let air circulate. Use an air purifier – An air purifier traps tons of airborne particles in the air at home or the office. An air purifier also prolongs the life of your HVAC by eliminating the dust particles that may end up getting trapped in the heating unit. Replace your air filter – It is advisable to always replace the air filters every two to three months. If they are not changed regularly, dirty air filters become less efficient and end up overworking your HVAC system. Having a dirty air filter significantly decreases the quality of your indoor air. 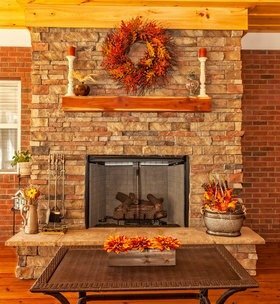 Schedule a fall maintenance visit- The best time for an HVAC maintenance visit is in the early fall. Having an expert come out to check and see if your unit is working properly is a great way to ensure that your indoor air is at its cleanest and most fresh all season long. For all of your HVAC needs or to schedule a fall maintenance appointment, contact the pros at Wilson’s Refrigeration today!